When visiting a big city by car, finding parking can be very difficult – dicey, even. If you’re trying to park downtown, chances are you are going to drive in circles for a while to find a spot and most likely pay a pretty penny. Daily parking in New York City averages about $50/day. Or there is Plan B: parking in the outskirts and take public transportation into town. They say it is one of the most oddly constructed road systems in the country. On top of that, the side streets are very narrow, rotaries make it easy to get discombobulated and taking someone’s previously cleared spot in the snow can get you in trouble. As you can imagine, this does not make for the best parking. The best bet is parking close by in Cambridge or Quincy in a less busy area and just taking the metro into town. The most popular destinations in Seattle are the Space Needle, Pike Place Market and the original Starbucks. They are all in the same vicinity downtown, where the streets are steep and treacherous. If it’s your first visit, this is an area you do not want to attempt to park in. 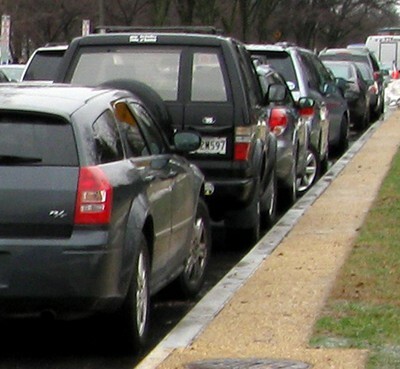 Parking in a nearby neighborhood such as Capitol Hill is way easier. Most of the parking is metered but there are some streets with free parking if you look hard enough. It is a bit of a hike to the downtown, but it’s downhill, which helps. You might want to just take the bus or a cab it from there. Like Boston, the streets are narrow, but the traffic is even worse. It is close to impossible to find parking downtown. The further you drive out, the more available parking, and likely free parking, you are to find. Philly is becoming more of a hip city with lots of up-and-coming neighborhoods. Park in one of the trendy residential neighborhoods and take a cab or an Uber so you can avoid the grimy underworld that is the Philly metro. Chances are you have seen or heard of the steep streets in San Francisco. If you are afraid of heights or are not the best driver, you’ll want to be extra careful. The public transportation system there is wonderful, so you really don’t need a car there. Parking is kind of a pain. It seems like almost every street requires a permit. If you want free parking, go to an area such as Ocean Beach. It is 10 minutes from the center of the city and it has a big residential area with lots of street parking. Take the BART from there to the city and use the metro, buses and cable cars for getting around. It is a big place, but surprisingly, if you go to the right area you will find parking. That said, you may have to take the subway across town to get to where you’re going. You can forget about free parking anywhere in Manhattan; that’s why there is a never-ending line of yellow taxis down every street. In any of the boroughs other than Manhattan, such as Brooklyn, you can find more parking and a good amount of free parking at that. If you are going to park in Brooklyn, go to a less popular area, including Gowanus, and park on a residential street. The political hub of the country is home to hundreds of federal buildings, but not much free parking. The majority of neighborhood streets are permit parking reserved for the politicians, reporters, etc. who live in the city. Luckily, the subway system stretches to surrounding cities in Virginia, such as Arlington, Fairfax, Alexandria, Springfield and several other areas. You can park your car for free at a metro station in one of those cities and ride to the capital. Chicago is similar to New York in a lot of ways. It has many skyscrapers, a bustling downtown and very few free parking options. Any metered parking or parking garages are going to cost you a fortune. Go to neighborhoods including Ukranian Village and Bucktown. Head down the nestled residential streets and snag a spot around there. It would be best to keep a map or app of Chicago streets with you because it is a big busy city, and you will likely be parking far away if you don’t want to pay a hefty price. It is not as big as the cities listed above, but it deserves to be noted for its parking hardships. The city center has hundreds of art galleries, fancy jewelry stores and restaurants. It is extremely old so the streets are very tiny. You will drive in circles for days to park in this area. Now parking outside of the art gallery district isn’t too bad. Just stay parked at your nice small hotel or motel lot. Most of the hotels are nearby so it is not too far of a walk. Or you can take a very short cab ride there. Parallel parking can be stressful. And expensive. Building enough time into your itinerary to park further from city centers and learning how to use local public transportation are two ways to make it much more tolerable. And if money is not an object, be sure to pack some smaller denominations to tip the valet.